Town To Town malayalam movie, the directorial debut by Rajeesh will feature Asif Ali and Gauthami Nair in lead. The movie zooms into the journey of the lead characters from one town to the other. Gauthami dons the role of a nursing graduate who hunts for a job. Asif Ali who is currently busy with the schedule of Pakida will join the sets after its completion. Young actors in the malayalam film industry are getting handful of opportunities to show their mettle on silver screen. New film makers who are stepping into the industry are given welcome from true heart by the movie lovers who wish to keep them entertained inside the theatres. Already being a busy bee, Asif Ali has lent his dates for debutant Rajeesh who is making his entry with 'Town To Town, a movie which carries the spirit of the youth. Gauthami Nair who has made her presence with her debut movie 'Second Show' is on cloud nine after being casted as the lead lady in 'Town To Town'. The movie zooms into life of the lead characters and their journey from one town to another. Gauthami dons the role of a nursing graduate who travels in search of a job. Gauthami who has shared screen space with Dulquer Salmaan, Fahadh Faasil and Rejath Menon is getting more opportunity to keep her foot strong in the film industry. Even though she had played the role of nurse in Diamond Necklace, the character in Town To Town is totally different from the prior. Asif Ali who already has kept his presence high among the top league of young actors is getting many projects under his arms. The actor who debuted with Ritu could do a number of variant characters who was much enough to get into the hearts of movie enthusiasts. 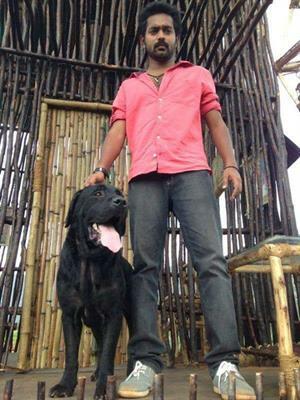 Asif Ali is riding high on the success of recent flick Honey Bee which is still entertaining the viewers. He will also be seen in Driver on Duty, Red, Noora in Love and few other projects which he has committed to complete in 2013. The full cast of the movie will be announced soon while the shooting is expected to begin in a couple of month's time.